WhatsApp Messenger is a cross-platform mobile messaging app which is available for Android, Windows Phone, Nokia, BlackBerry and iPhone. So every platform can chat with each other because Messenger uses same Internet pack which you use for browsing and downloading so there is no extra Cost for sending Messages . Just Download WhatsApp Messenger and Install it on your phone, start Chatting . WhatsApp Messenger gets synchronized with your phone Number and send SMS just like a normal SMS but main difference between normal SMS and WhatsApp SMS is WhatsApp Messenger sends SMS free of cost whereas normal SMS is being charged as per your Network. WhatsApp Messenger uses GPRS, 3G or Wi-Fi connection to deliver your SMS. You can also send Images, Video or Notes to your friend such as SMS, MMS and Email. 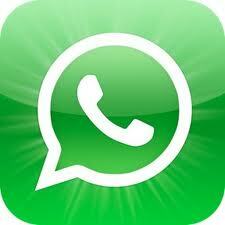 WhatsApp Messenger is an alternative for BlackBerry Messenger (BBM) which is not their for Android, Nokia and Apple. # Multiplatform: iPhone, BlackBerry, Nokia, Android and Windows Phone. # Group Chat: Can Chat with more then one friend at same time. #Free Text & MMS: Send text, video, images, audio for free. #Instant Contacts: Chat with friends from your address book. #Offline Messages: Guaranteed delivery when you come online. #Custom Status: Tell everyone what’s on your mind! Can we send SMS to a mobile phone from PC? The “Free SMS” is whatsapp to whatsapp only? I mean, can one send an sms using whatsapp to a friend who doesnt have the app?